It’s April 2017, and 100 years since the United States entered World War I. America was a late-comer to the costly conflict; the war had been going on for almost three years before the U.S. joined. The war started with the assassination of an Austrian archduke and too many alliances. 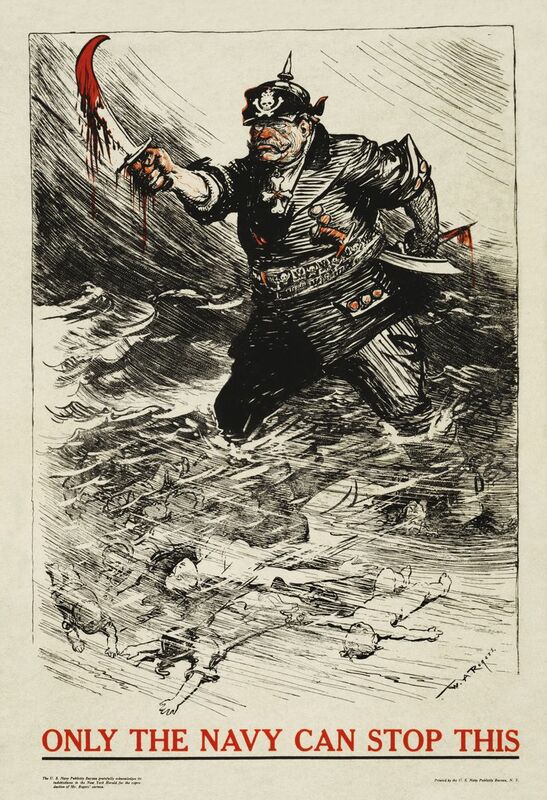 This month’s blog series will be focusing on American involvement in World War I. If you want to catch more of the European history, check out some earlier posts on Gazette665. 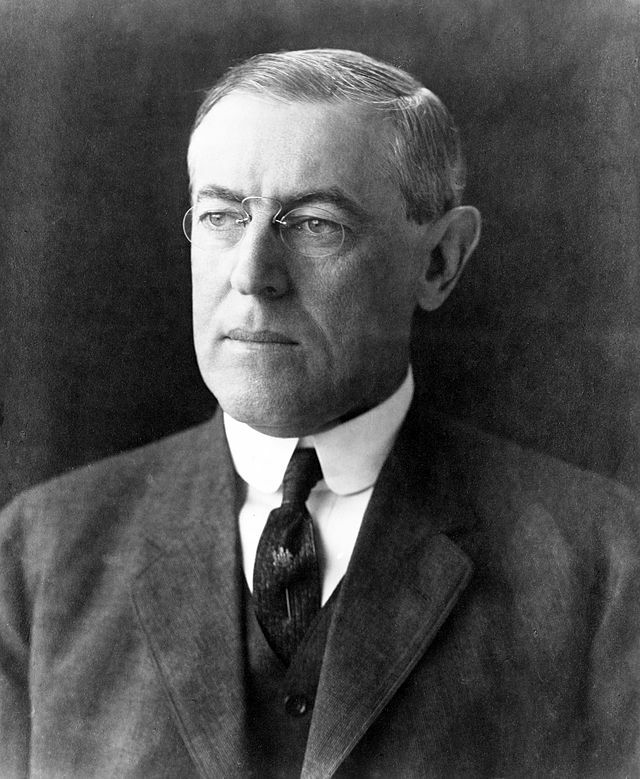 As Europe went to war (1914), American president, Woodrow Wilson, issued a declaration of neutrality. What’s that mean? Imagine you’re at a sporting event, and you sit without any expression of pleasure or dislike on your face, never jump and shout when one team scores, and refrain doing anything, excepting eating your own hot dog, chips, and soda. That’s a simplified example of neutrality. America would simply watch. Oh, but it’s so hard to sit passively while the team (side) that you secret support is struggling. America may have proclaimed neutrality, but the majority of leaders and citizens sympathized with the Allies (Britain, France, Russia). There were three main factors in the foundation of this sympathy: support of political freedom, economic profits (selling lots of weapons to the Allies), and disagreement with Germany’s unrestricted submarine warfare. The latter factor was key in the minds of the American citizens. The sinking of the Lusitania in 1915 was the first widely publicized act; the luxury ship was sunk by torpedo off the coast of Ireland and 100 Americans were among the casualties. Then in 1916 after a French steamer, the Sussex, was sunk without warning, President Wilson declared that if German sunk anymore merchant or civilian ships, the United States would break diplomatic ties with that country. The National Defense Act was passed by Congress in 1916 and increased the American military. It also authorized the spending of $500,000,000 for a new and modernized navy fleet. Woodrow Wilson was an educator and he had good intentions, but Utopian ideas. In January 1917 he spoke to Congress and presented his idea for “peace without victory” which would be a “peace between equals” in Europe’s war. In other words, he wanted no conquered nations, but rather peace and a gathering of nations in mutual respect for discussion of international affairs. He also advocated that each nation’s people choose their own government, limitation of military armaments, freedom of the seas, and an international organization to ensure world peace. Well, President Wilson’s ideas for peace and prosperity didn’t impress Germany. They wanted to win the war and issued a proclamation, enforcing their policy of unrestricted submarine warfare and declaring that they would sink any vessel found in a designated war zone. (The Germans hoped to cut the US supply line to Britain and defeat that nation before America had time to join the war.) On February 3, 1917, the German ambassador was sent home, and America broke diplomatic ties with Germany. 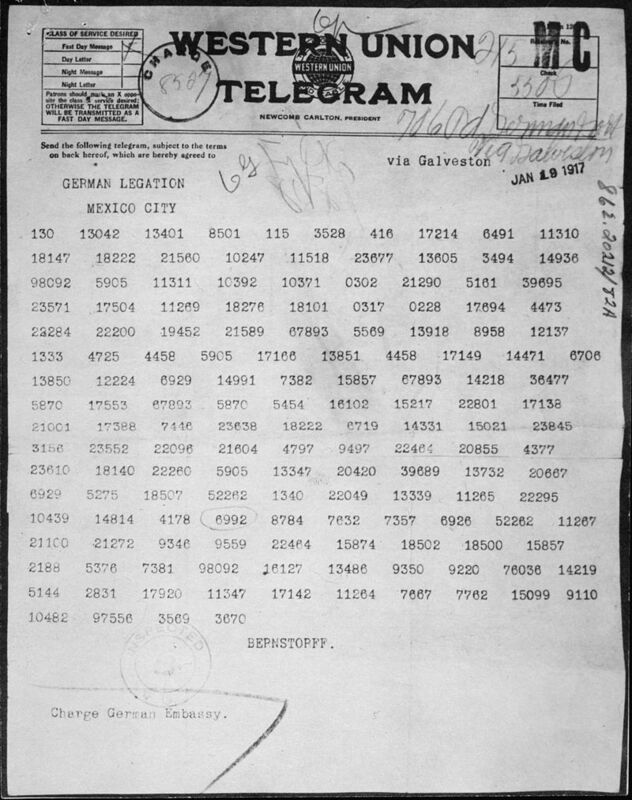 The British managed to intercept a German secret message sent from Foreign Secretary Arthur Zimmerman to the German ambassador in Mexico. Basically, it offered that if Mexico and Germany formed an alliance, Germany would help Mexico invade the United States and re-claim New Mexico, Texas, and Arizona. On March 1, 1917, the message was published in American newspapers and the citizens were horrified and angered. On April 6, 1917, after Germany sank four American merchant ships, the United States declared war and officially entered the conflict. America mobilized quickly and the war effort was supported by the majority of citizens. Registering for the draft, purchasing war bonds, increasing industrial output, planting victory gardens, attending patriotic events were some of the ways that Americans volunteered to support their nation and the Allies. By the end of the war in 1918, 2,000,000 American soldiers would have served in Europe. P.S. Want to read the rest of the 2014 original post about Americans in World War I? Here’s the link!